Phillips-type ethylene polymerization catalysts are responsible for more than one third of all polyethylene sold worldwide. Despite extensive research into the working mechanism of this process, there still is no univocal consensus on the active site and related catalyst activation and polymerization mechanism. Recently, the interaction between tri-ethyl aluminium, as a co-catalyst, and Cr/SiO2 Phillips catalyst has been investigated, as well as ethylene polymerization properties of this system. During my PhD research, I will employ alkyl compounds, such as tri-ethyl borane, as a co-catalyst and investigate their interaction with the Cr/SiO2 Phillips catalyst as well as these systems’ ethylene polymerization properties. Advanced microscopy and spectroscopy methods will be used to investigate the working state of the catalytic solids under study, in the presence and absence of alkyl compounds. PhD student in the group of Prof. Dr. Ir. B.M. 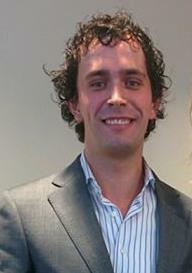 Weckhuysen, Inorganic Chemistry and Catalysis, Utrecht University. Topic: New insights in the working principles of Cr/SiO2 Phillips catalysts in the presence and absence of alkyl compounds as co-catalyst. M.Sc Chemistry Molecular Design, Synthesis and Catalysis at the Vrije Universiteit in Amsterdam. ACS Catalysis, 9 (4), pp. 3059-3069, 2019. ChemPhysChem, 19 (20), pp. 2662-2671, 2018, (cited By 0).